If you enjoy training in a group but want a personalized level of service and tailored programming, BASE Private Group Training is a great option. Private group fitness training is both personal AND fun! 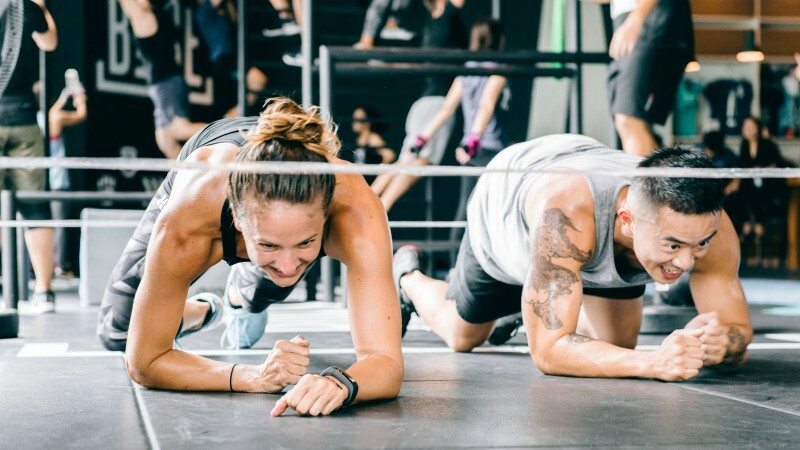 You get the excitement and motivation of working out with friends, along with personalized programming and the support of your own dedicated coach. Like personal training, we will go through the BASE trademark process to find out about your team and your goals, with the training taking place at a time that suits you and your group. Everyone in your private group will also benefit from our system of recording your results and showing you how your body is changing and your fitness is improving. Our team of fitness trainers and nutritional coaches will develop a personalized program for you and your team. Everyone is fluent in English and we have Thai and German speaking coaches.